The recipe for success for most taxi firms in today’s modern world (other than investing in the right system) is in three golden rules which are; quality of service, value for money and ambition. 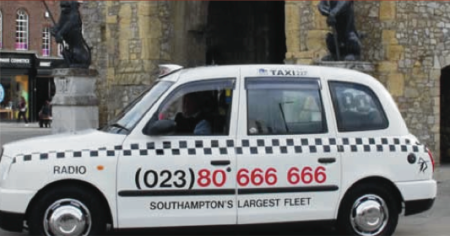 These were certainly the ideas of the twelve hackney carriage owners who formed Radio Taxis Southampton way back in 1972 with the objective of changing the taxi services of Southampton for the better. By doing just that they successfully built a fine reputation based on their reliability and outstanding service that left the competition trailing in their wake. As the old saying goes ‘If you can’t beat them, join them’ and this was certainly true for the seventeen drivers who decided that becoming part of a winning team was a far better idea than competing with them and fighting a losing battle. With that, the association of Radio Taxis was formed. It operated with unrivalled success for twelve years building a solid and unequalled reputation which led to the association being dissolved and the limited company of Radio Taxis being registered in 1984 – this was to take the business to even greater heights. drivers enabling them to provide cover in and around the Southampton area delivering an excellent 24/7 service. For this reason, their popularity has soared, and with it the bookings have more than doubled in recent times. In fact, they have recently passed a new milestone by dispatching one million jobs in record time this year. It is no surprise that the Autocab booking and dispatch software handled this volume of work with ease. Although Wayne Mitchell, General Manager, and his team are delighted with this achievement they are by no means complacent, in keeping with the companies history for an appetite for success, they are still looking forward to expanding the business further thus demonstrating an admirable sense of ambition. Radio Taxis also took advantage of some of our other booking facilities like Text Booking and Text Point – these have been extremely popular with students, largely due to Wayne’s aggressive marketing campaigns within the student unions and universities. But he believes the most popular feature is still Text Back, mainly because of its safety aspect & helping to reduce the risk of getting into a rogue taxi. They send a massive 70-80,000 Text Back’s per month. No wonder they are hitting one million dispatched jobs!